Meet Tim. He's a Rolfer, movement educator, and the founder of Inherent Vitality based in Boulder, CO (@inherentvitality on Instagram). 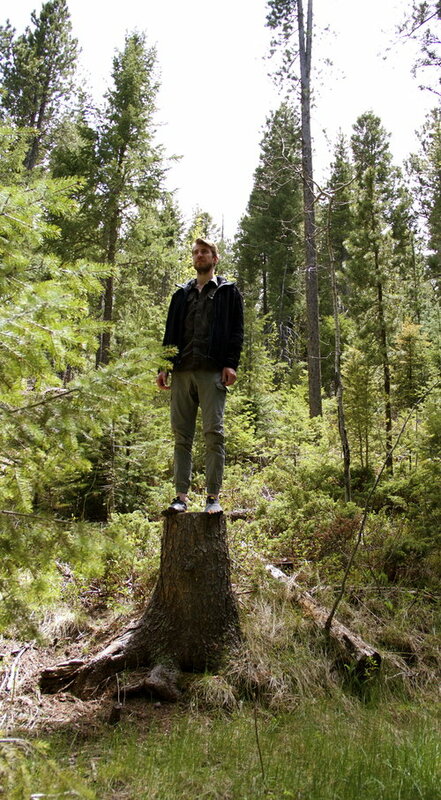 “I was exhausted and lost in the deep end of information overload. “I have invested a lot of time, energy and money in so many workshops, seminars, classes, ebooks, webinars, etc. I thought to myself ‘I cannot believe I’m going to try another course.’ But I also had a hunch that The Soma School would be different. Sure enough Chandler delivered above and beyond. One of the things Tim was most passionate about was finding better ways to empower his clients. He wanted to shift away from tissue-based work and "instill more locus of control in the client." He didn't quite know how to start, and he was a bit intimidated. He wanted to step up like he never had before. So he decided to work with me in The Soma School. He learned the principles of movement and personal growth and so that he could connect the dots between everything he knew. In The Soma School we learn the practice of Ecosomatics, which bridges the gaps between physiology, psychology, and ecology. “He broke everything down and now it all seems so much simpler. Coaching clients is about connecting in a deep and real way, listening to their lived experience and story. Tim began to work with the understanding the each client he saw was more than just a body. He knew that each and every client he worked with was mind and body, living within an environment. Tim understood that in order to really help a client, he had to do more than “fix” the problem they came to him with. His job was to shift the whole context in which that problem originally appeared. Doing anything less was a disservice to his clients, and he quickly rose to the challenge. In the practice of Ecosomatics we identify key constraints with each and every client in both their movement and mindset. 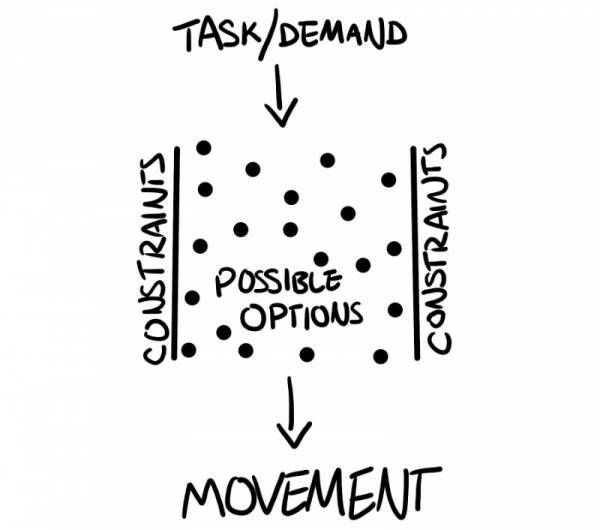 Once we identify those constraints we can co-create a solution with our clients. Some of our clients will struggle with specific mobility restrictions or dysfunctional movement. In order to help those people we work through a logical framework that blends evidence-based and experiential education. This helps them release excess tension, learn more efficient ways of organizing their movement, and gives them tools to integrate movement into their day-to-day lives. Where many coaches go wrong here is falling prey to path dependency, choosing the same movements over and over without any critical thinking as to why they’re using that movement. Amateur coaches go with “just because” reasoning, but intelligent coaches like Tim follow a logical framework to develop a movement practice that is tailored specifically to that client. Of course improving movement is just one aspect of the art of coaching. Other clients will be more limited by challenges in their mindset or behaviors, and it takes a skilled coach to facilitate a lasting change. Tim learned how to effectively use coaching conversations to help clients make breakthrough changes in their mindset. Doing so helps clients take charge of the context that led them to see you in the first place. After all there’s only so much work you can do with somebody a few hours each week. Empowering them to make changes throughout their lives should always be a priority. Doing so gives our clients more control over their own process. And you likely know how he feels. None of the weekend certifications or training programs you've been to teach you how to share your work with the world in an honest way. And watering down your work to the lowest common denominator is a surefire way to drive you crazy. If you have something valuable to offer, you deserve to be working with people who actually value it. Can you imagine a calendar full of people you’re actually excited to work with, day in and day out? What if you found a way to connect with dream clients in a way that really resonates? The problem is that when you look around online, all you see is a bunch of sleazy marketing gimmicks that make you want to gag. What's worse: they're made by marketers instead of coaches, so they don't really understand your specific challenges. But it takes a total overhaul of everything you know about marketing. Think about it: do you know how to market in such a way that people thank you for your marketing? Can you imagine making a sales page for your service and having dozens and dozens of people share it on Facebook (like the one pictured here)? You can serve people really powerfully through your marketing if you do it right. You can do it in such a way that the people you love working with reach out to you ready to take the next step. What’s the change you’re seeking to make? These three questions are your guiding compass when developing marketing messages. They’re rooted in compassion, empathy, and understanding...not making a quick buck. After working with coaches and teachers around the world there’s one thing I’ve learned: you just can’t do it alone. A part of you knows this. If you could do it alone, you would have already. Trying to figure everything out on your own is a huge waste of time. Sure, it’s “cheaper” to learn it all yourself, but is your time really worth that little? An investment upfront can save you years of spinning your wheels by yourself. “Chandler brought awareness to my blind spots in my personal practice, coaching, and marketing. A coach or a mentor is there to guide your progress and help you bring awareness to your blind spots. You really don’t know what you don’t know. Finding someone who has been in your shoes can give you a clearer understanding of the things that are holding you back. As he said before Tim had his reservations. He’d been through so many courses, seminars, and workshops before, but he had a hunch that he could really make a change by trying something different. Trusting his gut helped him step up his personal practice and his business. Here’s the thing: if you want life-changing results, you have to change your life. The habits and mindset that got you here won’t get you to the next level. If you’re struggling make the impact you really want in your work, you can follow these same steps. It starts with deepening your understanding of movement and learning how to facilitate lasting change with your clients. You can do so by changing a client’s movement or their mindset, but great coaches know how to do both. Then you need to learn how to share your work with integrity. You need to do so in such a way that people are thankful for your marketing. It's not easy, but it’s possible. It starts with compassion, empathy, and understanding. And the whole process is easier when you find a mentor. You owe it to yourself to work with someone who can guide your progress and help you become the best version of yourself. Too many coaches think they can skip this step. Somehow they expect to create a thriving coaching practice when they won’t even invest in coaching of their own. Those are the key steps. If you take a look around, you’ll see that every coach and practitioner you most admire is doing the exact same thing. What does Tim say about the whole experience? “I'm so grateful to have found you and your work. I feel so much more clarity and confidence moving forward! If you're ready to take the next step and learn how to create life-changing results for your clients (while changing your own life in the process), then click here to apply for a spot in my private mentoring program, or here to learn about The Soma School's Deep Coaching Intensive. Newer PostTrainers & Teachers, Are You Tricking Your Clients Into Relying On You?